Is GMO labeling too much government? It’s rare that I don’t have a concrete opinion on an issue but I recently had a conversation with someone over whether or not GMO labeling is something that should come to Georgia. Whether you believe in the dangers of Genetically Modified food, it matters not in this case. There is a growing movement for ‘truth in food’ and labeling in states around the country and it’s only a matter of time before the conversation comes to Georgia. We should be prepared because the point of contention is the role of government in consumer information. In a quality conversation, we should consider all sides of the legislative sphere and not just what benefits us. So let’s begin. Currently, only Vermont, Maine and Connecticut have passed legislation requiring labeling and Colorado and Oregon put it on the ballot where it previously failed. The Center for Food Safety has a comprehensive list of states with pending initiatives, including Georgia as soon-to-be-Former State Rep. Josh Clark introduced legislation during the 2014 session. Keep in mind that similar legislation applies only to food grown or manufactured in that state. In considering the role of government, many would agree that this should be done at the state level (unless you’re viewing this the same way many view cigarette labeling). When considering effectiveness, one at least has to acknowledge that random states passing legislation could be disjointed and choppy. The responsibility of raising awareness would still fall on grassroots organizations and on informed consumers. In today’s America, that is a lot to ask. Would it drive food manufacturers out of Georgia? This obviously wouldn’t be an option for agriculture as their land is here but food companies who process manufactured food (food that isn’t from the earth and is made solely from…’other stuff’), would they simply up and leave the state? What undue burden would this place on our farmers? By far one of the most important ones. Does it apply to produce stands? Is there a revenue bench mark? And if so, that then draws into question whether the law is just and applicable across the board. What is the cost on businesses? How much will it cost them? What does labeling entail? Sometimes it’s ingredients and sometimes it’s the process. If it’s simply the ingredients, that’s useless because companies will just change their process to skirt around compliance. That’s what they did with MSG in the early 2000’s. There is already a movement called the Non-GMO Project with a lot of steam and zazz behind it. Many would say that projects such as this will weed out the -via the free market- those companies that have no desire to be transparent. 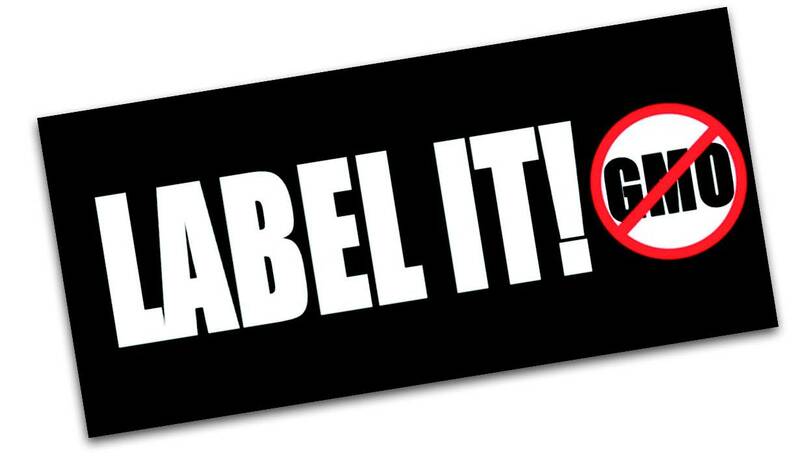 To their credit, there are a large number of companies backing labeling – currently over 650. Some of the organizations in favor of food labeling include: Odwalla, Chipolte, Stonyfield Farm, Organic Valley, Eden Foods and Numi. Some of the larger players against GMO food labeling include Coca-Cola, PepsiCo, General Mills, Nestle USA, Hormel, Kellogg, Land O Lakes, and Du Pont. The counter to that argument is two-fold: First, only organizations that are NON-GMO are labeling. Those are using GMO products are not indicating so. Secondly, sometimes it is indeed the role of the government to inform the uninformed so long as we are operating under the current system with the FDA and State Agriculture Commissioners. As you can see, the possible ramifications are quite complicated and the grey area seems to muddy the black and white. Georgia doesn’t exactly have a reputation for being Liberty-minded when it comes to agriculture or food rights (see Delbert Bland’s Vidalia Onions and previous raw milks legislation) but I hope they can at least start the conversation. It would be to our benefit that this process be slow as the quick things they do generally don’t help We, The People. And I would be lying if I said there wasn’t a little part of me that wanted to stick it to big companies that are doing shady things with a lack of transparency….but that doesn’t make good policy and it still doesn’t answer the question of whether or not that is the role of government when consumers have a choice. This entry was posted in 2015 Legislative Session, Food, State Level Stuff and tagged Agriculture Commissioner, Delbert Bland, FDA, Gary Black, Genetically Modified Organisms, Georgia, GMO, GMO labeling, legalize raw milk, Non GMO project, raw milk on September 22, 2014 by Jessica Szilagyi. I sometimes read the Huffington Post. Sometimes because I’m bored, sometimes because I love torturing myself with extreme opposition, and sometimes because I’m feeling super open-minded. Today was the latter of the three. I came across the article ‘This is What It’s Like To Be A Single Mom on Food Stamps‘. If you have a few minutes, I recommend reading it in its entirety. The mother is from a suburb outside of Atlanta and she makes a compelling case for needing help. I’ll preface noting that my biggest problem with the article, especially with it being featured on Huffington Post, is how it somehow manages to make it seem like this is the norm. Unfortunately, it is not. Putting that aside, I think there is some real value in what the article highlights: that this was the only option at the end of the rope. This single mother of two details her struggle of a divorce with a financially uninvolved father, medical issues and trying to get a job after being a stay-at-home mom for 13 years in a suffering economy while chronicling the shame and heartbreak over accepting (and then using) state benefits. I am not an advocate of the food stamp or the WIC programs and I cannot imagine that I ever will be. I would go as far as to say I believe it to be an illegal practice on behalf of the state. But I am an advocate for compassion and solutions. As conservatives, we are consistently framed as wanting to remove social programs (and we do!) but are willing to leave families and children without another option. It makes us look bad and it’s one of the reasons we lose elections. I’m kind of over it. The non-profit sector was intended to be a third branch, a bridge if you will, between the private sector and the public sector. Nonprofit organizations were originally created to fill the gap where the government could not -or was not legally supposed to- fill in. We have far overstepped that boundary and are looking at years of reform, but why aren’t conservatives looking at specific organizations to which we can direct needy families? Faith aside, there are lists a mile long of organizations ready, willing and able to offer short and long-term assistance to varying groups of people: young, old, male, female, veterans, those addicted to various substances, those in recovery, those unwilling to work, those unable to work. The list goes on. A quick Google search provides a list of over 37,000 nonprofits JUST IN GEORGIA with over $96,598,629,441.00 in assets. Now, we know that all of those aren’t need-based organizations, but there certainly is no shortage on available ‘help’. What’s more is that again, faith aside, more often than not, these organizations project ideologies of conservatism, individualism and ultimate personal responsibility without being overtly ‘in your face’. So what gives? Why are we not placing a wedge between the state social programs and the people? I will say that legislating specific organizations into ‘helping’ isn’t the solution. Take MADD for example: The Georgia legislature created a monster out of that organization by mandating their services through the state sentencing programs. But we have to change the direction we are sending these people. We don’t make information readily available and then we wonder why they default to the state. Why aren’t these organizations Step 1 on the HHS websites? Why doesn’t the state first suggest what is now considered the alternative?We, as a state and a people, can connect the needy with the willing organizations. We need to make the alternative the norm. We just need a pathway and discussion to do it. Change doesn’t happen without conversation. It’s time to tweak the conversation and shift our focus to the real solutions. Otherwise, we are only contributing to the problem and I see our fight as no more than a tug-o-war with the liberals of ‘keep a program v. kill a program’. This entry was posted in Georgia, State Level Stuff and tagged #gapol, food stamps, Georgia, nonprofits in Georgia on July 30, 2014 by Jessica Szilagyi.